Let’s start with some tips for successful article writing. Back in the day I started out as the writer and editor of my school newspapers going all the way back to elementary school (the parent’s circular). So I have decided to give you some tips on how to create your articles if you plan to write for publications or online blogs. To lead to a sale, your query must convince the editor that you have a clear idea of what you plan to cover in the article, and what approach you ‘re going to take. So before writing the letter, think your article idea through carefully, and picture yourself describing the article to a friend. Finding your angle is often a matter of narrowing your topic. A topic like “Sports” is far too general, narrow it to say, “Table Tennis” is better. Often, reducing the story to a single dimension e.g., focus on a key person, place, or event – gives a salable angle. When your subject is popular, you must give the editor a fresh approach. One way is to take an idea like “Overcoming Failure” and give it a twist to something like “Failure Can Be Good for You.” It needn’t be exotic to sell, something as mundane as “New and Improved” has worked by adding a new ingredient to the usual. While many queries can be written entirely from your own knowledge, a little research can pay big dividends by seducing the editor. Facts sell editors on an idea. Editors look for queries with many specifics: Don’t just write that “Last year millions of people suffered from yeast infections.” Tell how many millions – and why! Research both the topic and the markets you’re aiming it at. A common reason for rejection is because of inadequate knowledge of the magazine. Then you’re ready to write your query. A good query starts strong, and never lets up until the editor is sold. Follow the two newspaper dictums; the five W’s (who, what, where, when, why) which explains the story immediately, and “the inverted pyramid” which emphasized putting the most interesting information first. You’ll lose the editor’s interest if you save the best for last, and always remember EDITOR’S CUT FROM THE BOTTOM UP! Each has a specific purpose: first, tell the editor what the story is, then why she/he should buy it, and finally who is going to write it. The Lead – is aimed to hook the editor and make them want to continue reading. Once you’ve aroused the editor’s attention, move directly to a summary of the article. Summary – This section should convince the editor that you know where you want to go with the article; it should outline the points you plan to cover or provide factual information about your topic – giving only enough to prove that your story is real. Here you can mention your sources. Tell the editor who’ll you’ll be talking to, and if experts are they on the cutting edge of today’s technology. Also include here a working title for the article. Don’t spend a lot of time trying to get a provocative headline, because titles are often changed by the editor before publication. Author’s Bio – is where you sell yourself as a writer to the editor now that you’ve sold him/her on the idea. Don’t be bashful; editors expect a bit of sell in the bio. There’s nothing wrong with saying, “I’m highly qualified to write this article because…” if a convincing reason follows. Start your bio with your publishing credits, and include magazines similar to the one you’re pitching if you can. 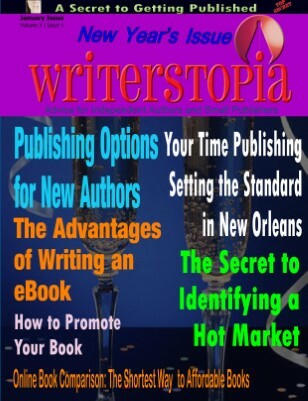 Writerstopia – Your self-publishing resource! On Sale Now!!! So How Do You Write a Book Proposal Anyway?